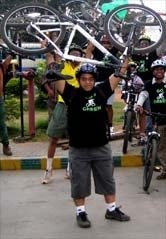 [ ] Go Green Initiative @ Hyd on 26 Jan 2010 - GGI-Group size: 4000+ Professionals, Increasing on day to day basis, Come & join us 2 serve Mother Nature. 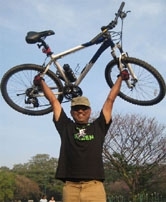 The much awaited Go Green Go Cycling's GoGreen initiative has been formaley announced during ATF's republic ride. We received tremendous response from the people present in the Republic ride. 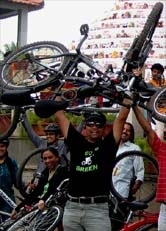 Hope to have more and more support for our Go Green Initiative. We Thank Mr. Deenanath for giving us this opportunity of being present in such an occasion. and also Thank our key members Mr. Mallik & Mr. Kingsly for helping us to make this event successful. Enclosed below are few snapshot captured during the event..